As the next upper level disturbance moves into the plains, the chance for severe weather will increase Tuesday through Thursday. Starting Tuesday there could be a few cells IF any do develop across NW Texas and southern Oklahoma. On Wednesday, the severe weather threat will expand to include most of north Texas into Oklahoma and on Thursday, the threat should move along and east of I-35 from north east Texas into eastern Oklahoma. 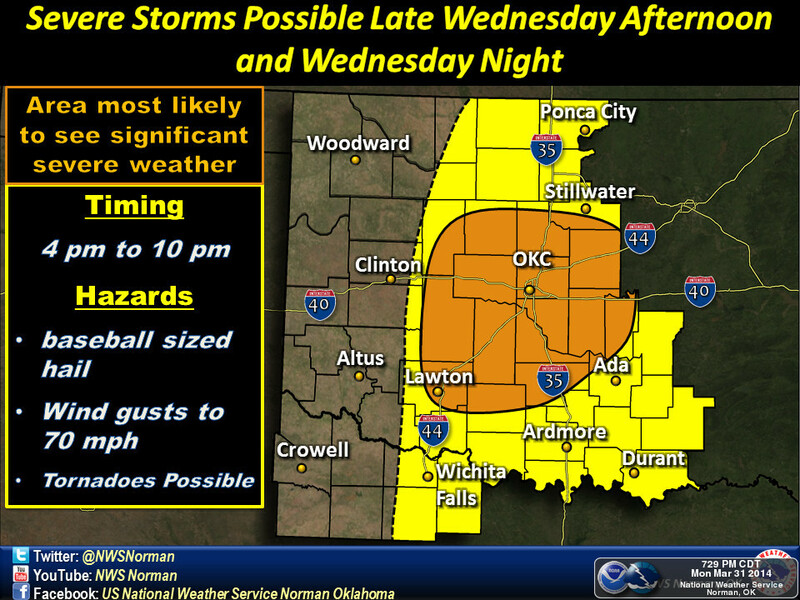 The main severe weather threats will include very large hail, damaging winds and tornadoes are also possible.